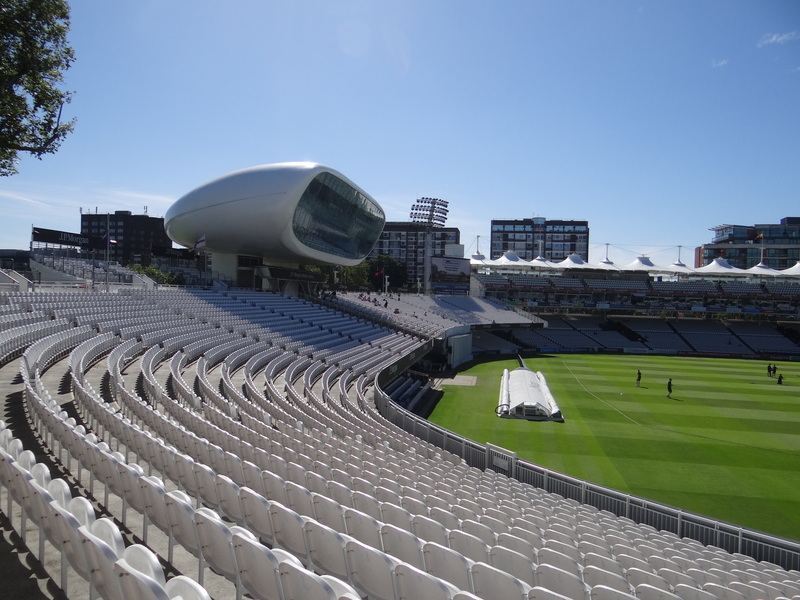 The Lord’s Cricket Ground in London is often called the Mecca of Cricket and travelling there to watch a test match is considered to be equivalent to Haj pilgrimage for a cricket fan. 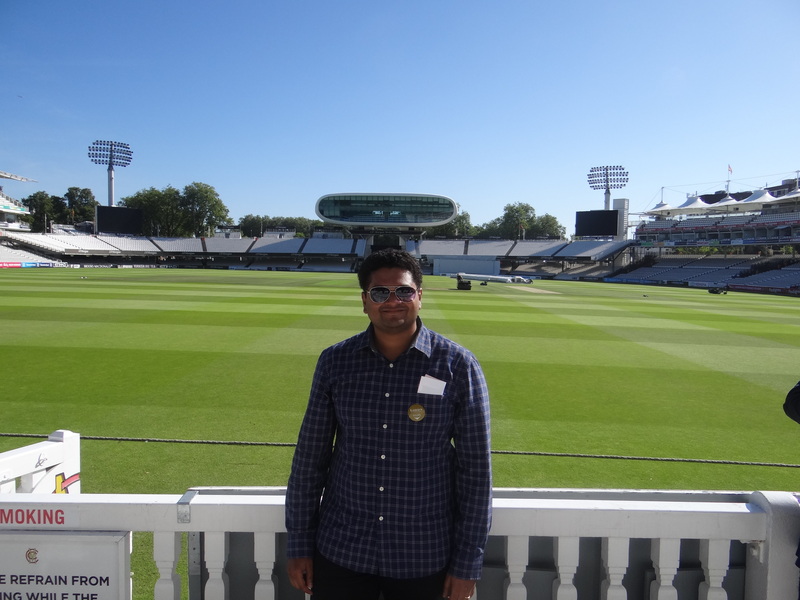 Being a diehard cricket enthusiast from childhood myself, I could not imagine leaving London without visiting Lord’s. The Ashes (England v Australia Test Series) match at Lord’s had just happened a couple of weeks back and unfortunately there was no international match scheduled there during that week. 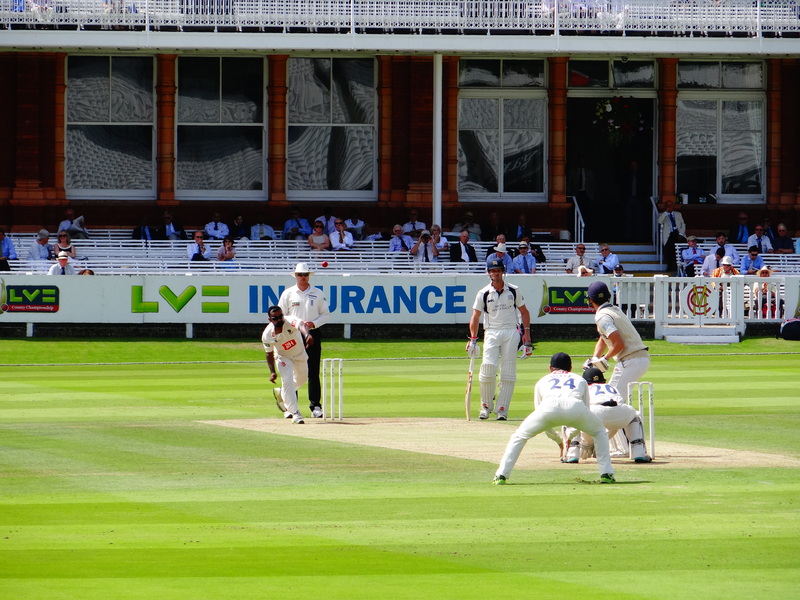 My intention was to only take a tour of the place and soak up the atmosphere, but quite unexpectedly I also ended up watching a county cricket match at the ground. I had pre-booked for a guided tour of the stadium on a Sunday morning. After waking up and getting ready early, negotiating the London underground and walking to the stadium and then around it for some time till I found the correct entrance, I entered the legendary stadium. I was already a few minutes late for the tour, so I was ushered directly into the famous Long Room in the pavilion area. This was the room through which the players walk on their way to the field and whose access is restricted to members of Marylebone Cricket Club (MCC) only. 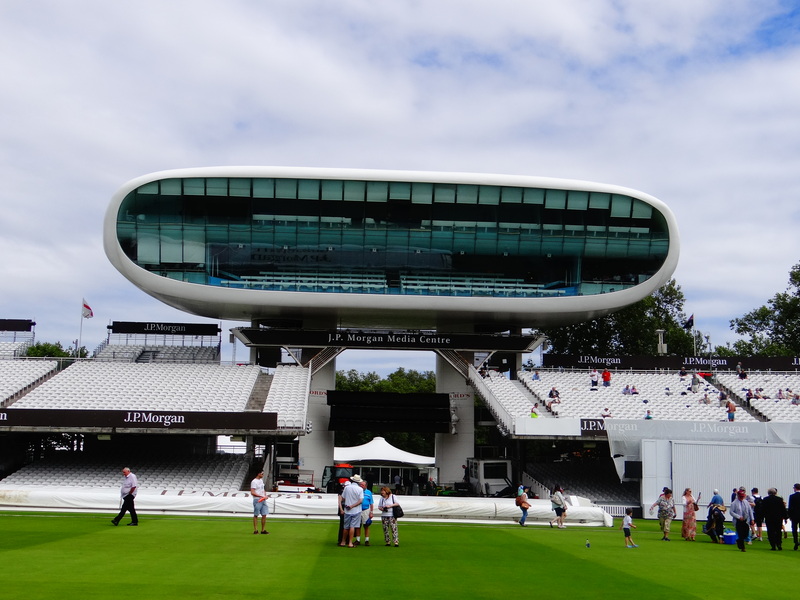 From there, the tour guide took us through the pavilion, the MCC room, the swanky new media center, the stands, the museum and also through 100+ years of colorful cricket history. 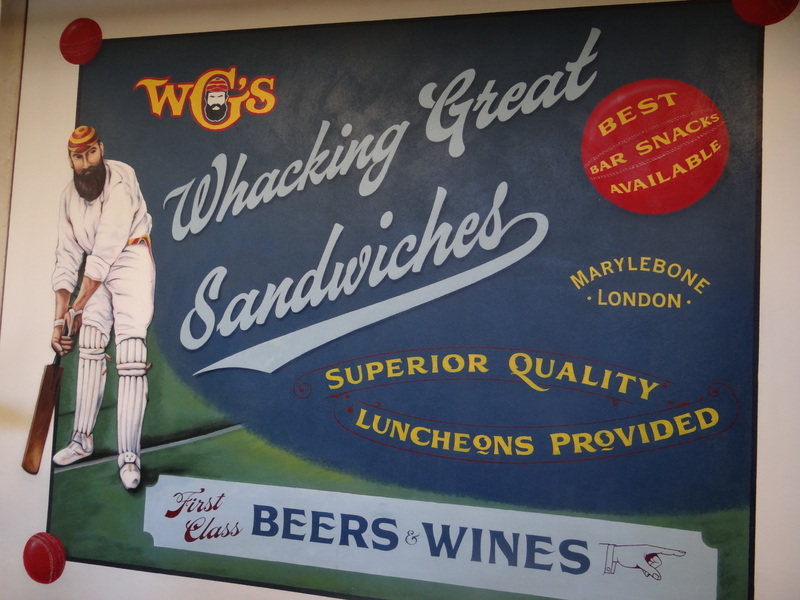 WG Grace who is considered to be England’s greatest ever player is revered with the restaurant named after him as well as a life-size statue in the grounds (the only player to have one in Lord’s). 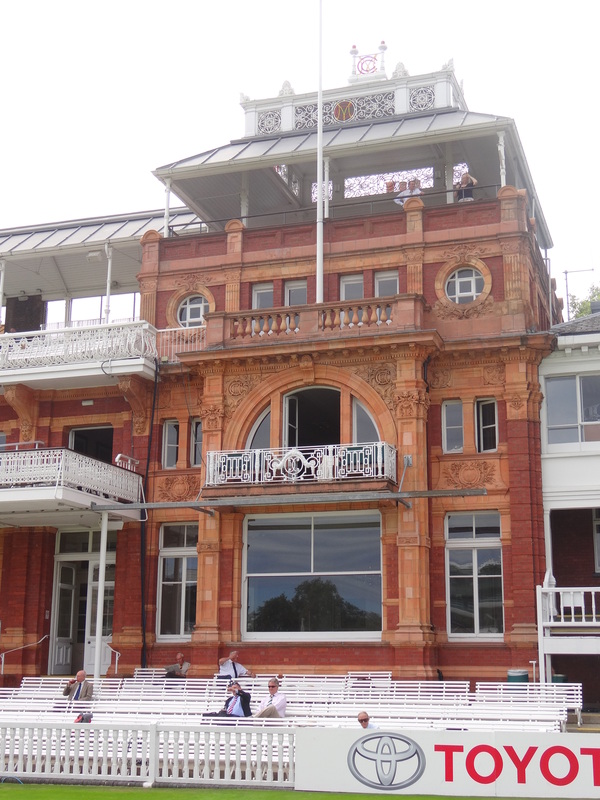 The museum known to be the oldest sports museum in the world, has a rich display of cricketing memorabilia, including the World cup which India had won in 1983. 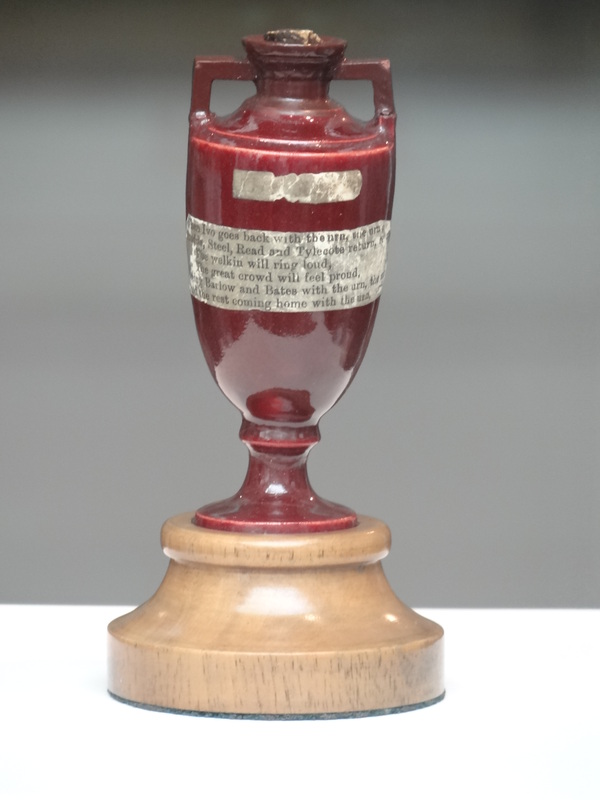 The highlight was the original preserved Ashes cup, that tiny nondescript urn for which England and Australia compete fiercely every couple of years. England had won the 2015 Ashes just the previous day and our tour guide was in quite a jolly mood, gloating over his team’s win especially to some Aussie visitors in the group! By a wonderful coincidence, there was a county match that was scheduled to start in a few minutes after the tour ended and I was more than glad to find a nice cozy seat for myself and settle down to watch. There were not too many people in the stands as county matches are not as popular as international test matches (which usually get sold out in spite of the steep ticket prices). 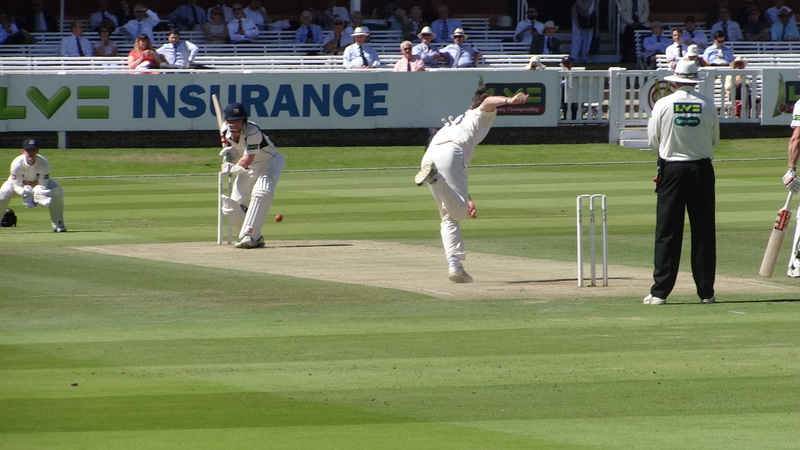 Middlesex was playing Sussex – two of the more popular teams in the English domestic cricket competition – and I went on to watch the match till noon until the end of the first session of play. Test cricket can be excruciatingly boring for the uninitiated, but for a fan who ‘gets’ the game it can be extremely rewarding. 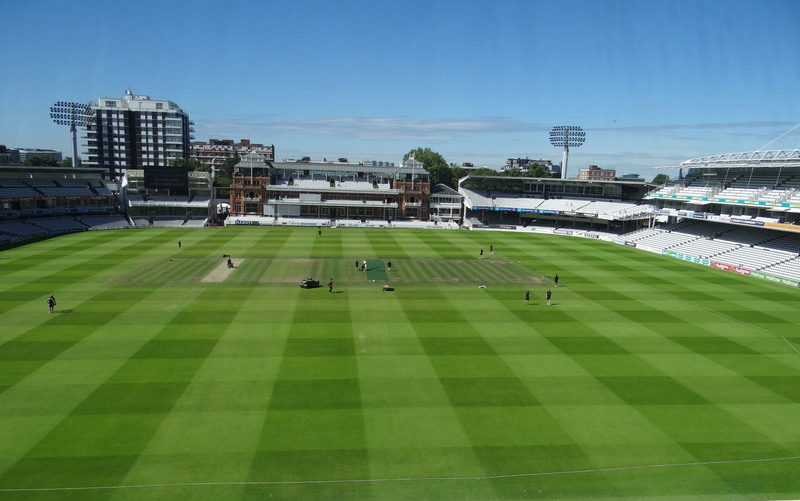 It was a nice, sunny day with a gentle breeze blowing and the cricket was of reasonably good quality. 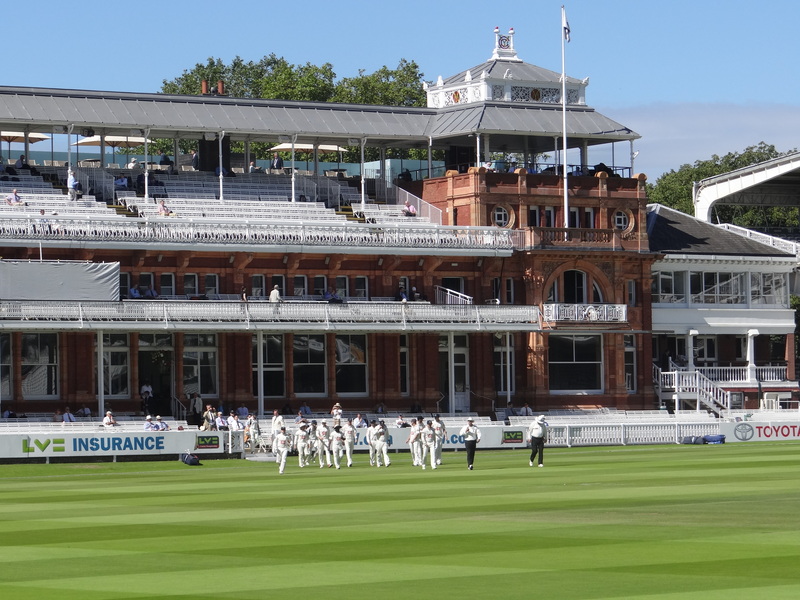 Men in whites playing on a green field in front of a sparse but enthusiastic audience who were politely clapping and cheering every wicket or boundary – this setting could not be more English. It was everything I had imagined it to be like! In the lunch break, the spectators were allowed to come on to the ground – a welcome departure from my experience at Indian cricket grounds where the spectator is made to feel like a caged animal. The pitch was still off-limits though guarded by a cordon of guards who were politely reminding erring fans if they ventured too close to the cricket pitch. Standing there on the hallowed ground and looking up at the pavilion where India had lifted the World Cup was a special feeling indeed. 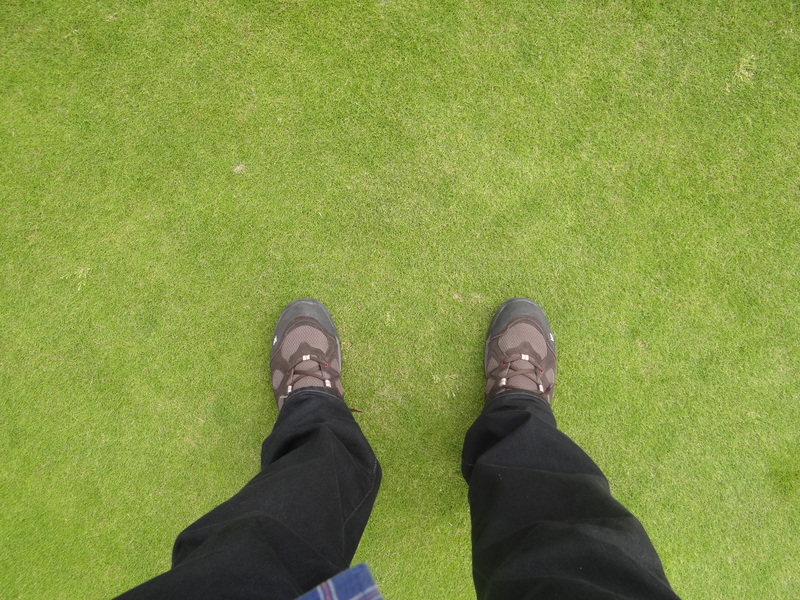 One peculiar thing about this ground was that the field was actually sloped which I could clearly see – a drop of 2.5 meters from the north end to the south! At the end, I came out feeling thoroughly satisfied. 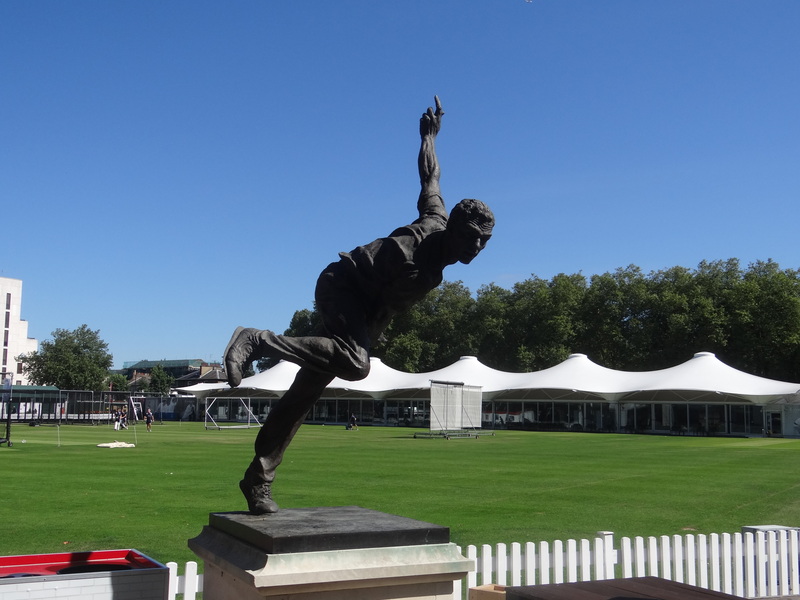 Some might say the English are snobs, but you cannot help but appreciate how much importance they attach to history and tradition – a fact which was nowhere more apparent than at the home of cricket. There cannot be a more glorious place to watch a game of cricket, and every fan has to make this journey once in a lifetime to have an experience to cherish.